As a wealthy, beautiful borough in Monmouth County, Sea Girt, NJ has been a desirable place to call home since it was first founded a century ago. While times have changed, the small-town community spirit of the region remains, and Simonik Transportation & Warehousing is proud to carry on this legacy with our exceptional selection of personalized Sea Girt moving and storage solutions. Offering both local and long distance moving services for residents and businesses across the area, our Sea Girt movers are one of the region’s top choices for an outstanding moving experience. Local NJ Movers: Get the individualized attention your local move deserves with help from our professional team of local Sea Girt movers! Long-Distance Moving: Regardless of how far away you are moving your family, our professional NJ movers be there through every step to guarantee a seamless transition. International Moving: Unlike other NJ moving companies, we offer a full-service approach to international relocation that is both cost-effective and stress-free. Office Movers: Keep your company’s move on schedule and stick to your moving budget with the expert coordination of Simonik Transportation! NJ Storage Facilities: We offer over 79,000 sq. ft. of storage space in secured facilities to keep your items safe and undamaged for as long as necessary. Whether you are moving your family down the street or need to relocate a business internationally, there’s no job too big or too small for our NJ moving company. 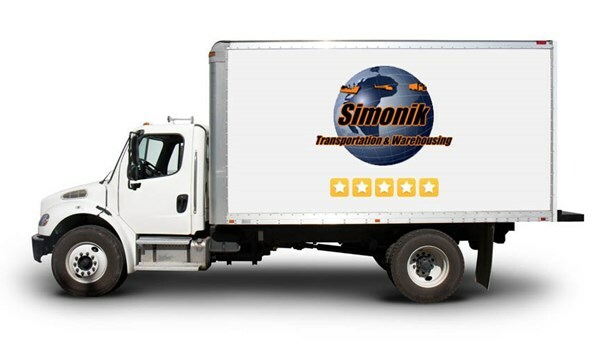 Give the team at Simonik Transportation & Warehousing a call today to learn more about the services we offer, or fill out our brief online form now to get started with your free, no-obligation estimate!